I’m obsessed with the “Zipper lane!” The Zipper lane has several names. The high occupancy vehicle (HOV) lane, or the commuter lane, or the car pool lane, and my second favorite name dubbed by my brother; “the slug line.” He named this while living in Washington D.C because all the cars in the neighborhood containing one driver would stop by the bus stop, and offer a ride downtown to the waiting commuters, so the driver would be able to use the HOV lane. In Boston, it is often called the zipper lane because the lane changes directions in the morning, and afternoon. The sides of the lane itself are made up of Jersey barrier-like walls, joined together that almost look like a larger zipper. 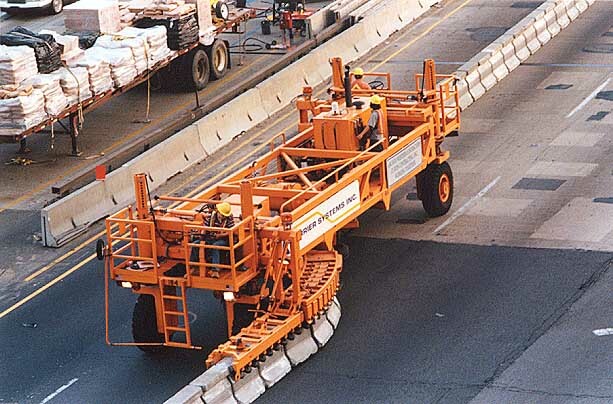 The “zipper” is moved by special tractors that shift the lane to be either inbound or outbound Boston rush hour traffic. This is my problem; somehow, for what ever reason, one of the most damaging blows to my love for mankind is when I get in the “wrong line,” and am instantly punished with time delays. This could be at a store, the DMV, or just a traffic lane. I’m not talking the everyday natural workings of a line in which one line moves faster than the other. I’m talking about where I get in one line, and suddenly the computer malfunctions, or the operator is confused, and has to call for help, or my all time “send me through the roof” line, was the time I’m standing 5 customers back, and going nowhere at all. The attendant at the register delays the whole line as he tries to figure out why he can’t process the coupon from the woman in front of him for 5 cents off a candy bar, only to find out 25 minutes, and 2 managers latter that the coupon in question was taken from “next-weeks” flyer, and will not work in the present. I should have just left the line, but instead, I stayed, and kept my mouth shut. There was a time when I was a young cashier, and things didn’t always go so well. I blame the store, and the manager for not giving all of us a candy bar, and apologizing! During another such time, as my blood was about to explode, there came a voice; and not the one in my head. It was from the woman behind me in line. When I turned around, her face was beat red, and she said out loud to nobody in particular; “I swear to all that is known throughout the universe, this will be the last time I ever come in this store again.” I looked her in the eye and said; “was that the first time you ever said that?” She stared at me harshly for a moment, and then we both cracked up laughing. Misery loves company. There may be times when I’m stuck in traffic, or behind that woman in the store who waited 20 minutes for the cashier to “check her out” before she started to look for her checkbook in her suitcase sized handbag, but for those times, I’ll close my eyes, and dream about one of my true loves; The Zipper Lane. 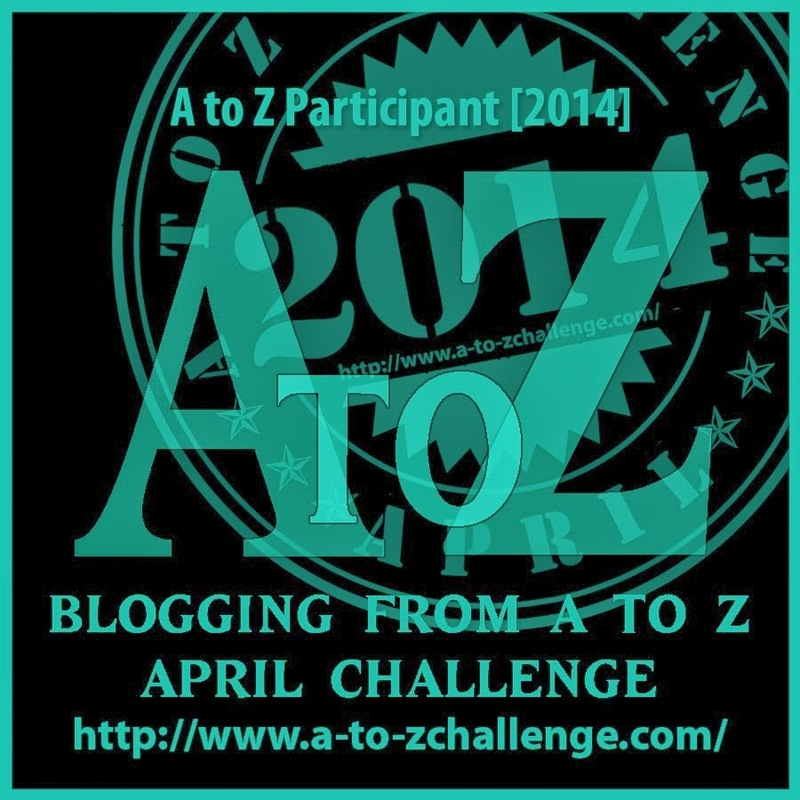 Good Night April, A-Z bloggers, and all my friends; new and old still here with me. I’ve enjoyed it! I hope you did too!